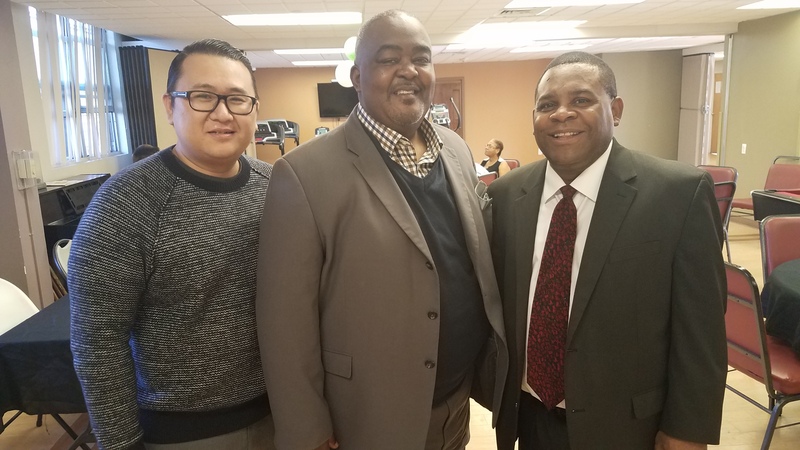 Orange, NJ – February 21, 2018 – Cephas Ward, HUD’s revitalization specialist, gave a stirring speech to a packed room of residents at the headquarters of the Housing Authority of the City of Orange on Thomas Boulevard, February 21, as part of a month-long celebration of Black History. HUD is an important source of information and assistance for public housing authority administrators and residents such as foreclosure avoidance, homeless resources, disaster relief assistance, homeownership education, and senior resources. For more information about HUD resources, visit https://www.hud.gov/states/new_jersey/working/ph. The City of Orange Housing Authority works to transform the City of Orange by providing safe, livable and affordable housing that promotes the development of communities. At the Orange Housing Authority, participants are not statistics, they are neighbors. The HACO knows the community and tailors programs to better serve the participant’s needs. Whether it is a search for housing, assistance with foreclosure or neighborhood development, the Orange Housing Authority stands ready to offer its services to all residents.